Currently, there are 3 types of teleports available. 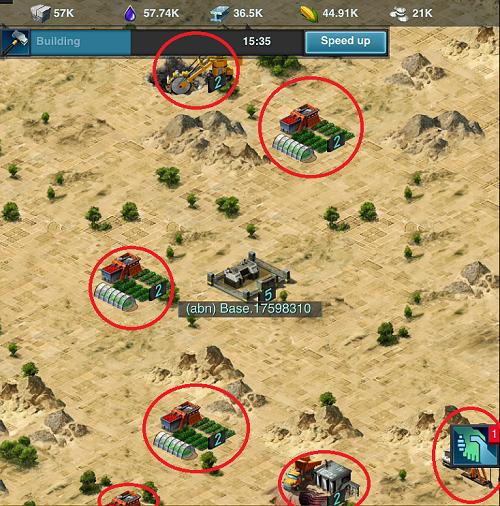 The first one is beginner’s teleport, which allows a new player with their headquarters at level 5 or lower to move to another server they wish to go. Keep in mind that you have to do this before getting to level 6 headquarters. Some players from your alliance might suggest that you use your beginner teleport before hitting level 6 if they are active players. The next one is Random Teleport. This transports your active place to a random location within the state. This is a good option if you want a change of scenery or the location you are at is no longer advantageous for you. The last teleport is Advanced Teleport. It transports your active base to a chosen location within your state. 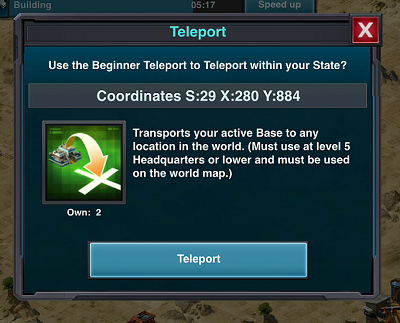 Keep in mind that both beginner and advanced teleport require you use the world map. Now let’s say you have decided a spot you want that has all the advantages you want. The next step would be to click on the magnifying glass on the top left of the screen. Make sure you are on the world map when you are doing this. Next, you type in your coordinates if you know it. 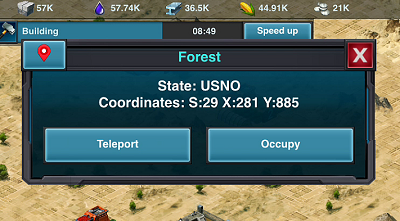 You can check the location coordinates by tapping on the spot you want and it will show the coordinates of the location. If you are planning on moving to another server, you can choose states instead. 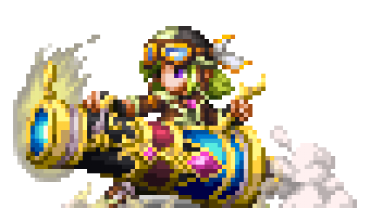 You do that by clicking the map icon on the right of the magnifying glass. If not, then go ahead and hit teleport on the spot you want and you will be teleported to your desired location. 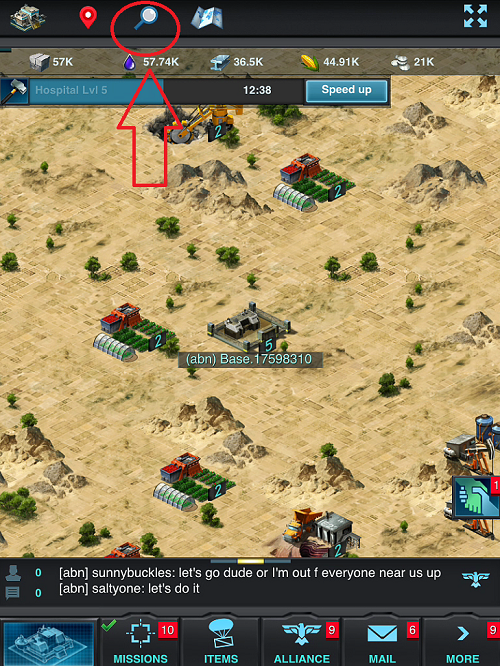 For Random Teleport, you will want to access that in your menu using the item icon at the bottom of the screen. 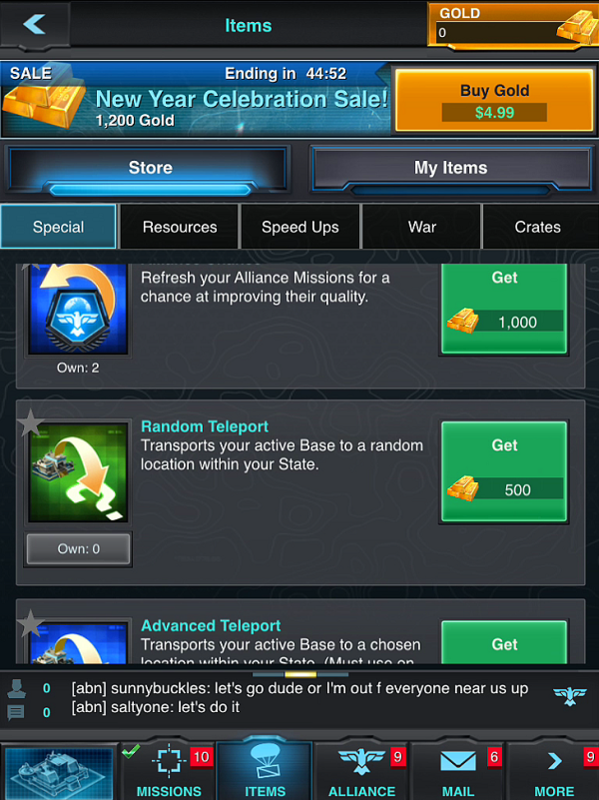 Then on the special tab, scroll down to the middle to find the Random Teleport option for 500 gold. There you go folks! Hopefully this guide is clear enough for you all. Let me know if you have any questions! If I have a LvL 10 HQ and want to jump State do I need to reset everything and start New!? I think my game has a glitch.. I’m in s: 1505 and when I try to look for my friends or the allie name results come back with nothing. It’s like that with my friends results also. Like I’m not playing on an acct.. I’ve tried uninstalling the game and starting over but I went from 1501 to s 1505… I want to move to 851 but when I search the map it says the #s I enter doesn’t exist… What do I do?